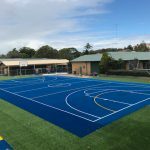 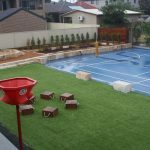 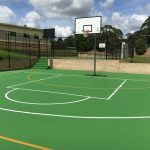 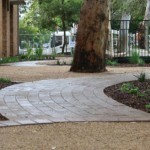 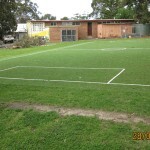 The Principal and Brothers of this school needed an outdoor space that could be utilised by the whole school. 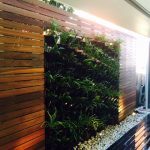 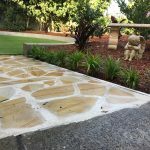 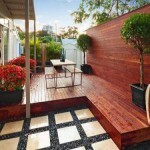 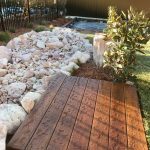 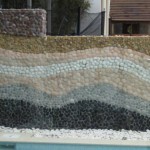 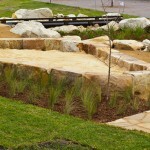 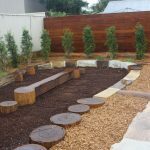 Outdoor Retreats Landscaping designed and created an outdoor amphitheatre with seating and garden beds. 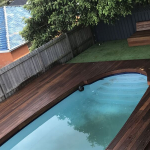 The planning and preparation of this area was meticulously co-ordinated so that clean lines were achieved in every tiered section, to enhance the appeal of the space. 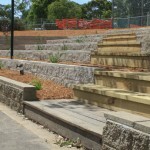 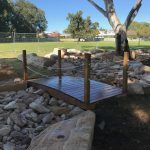 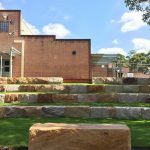 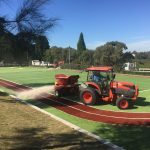 To establish this effective amphitheatre for durability and access, a concrete pathway was built from the top to the bottom tier and concrete seating to sustain the traffic of everyday school life. 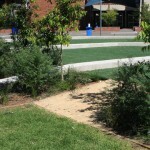 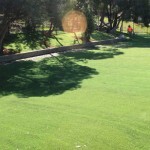 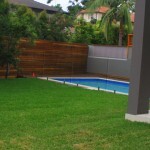 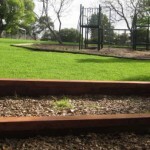 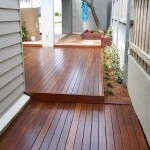 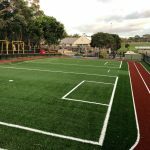 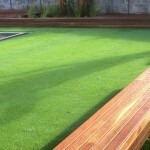 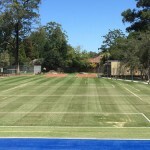 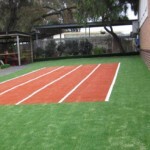 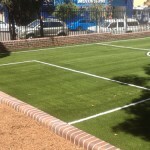 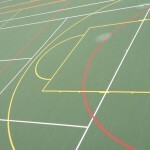 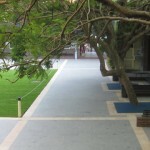 The area is used on a daily basis, so to increase durability of this area, synthetic grass was laid between each tier. 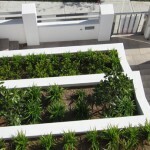 Garden beds with irrigation were included at the end of each tier to enhance the overall look of the area. 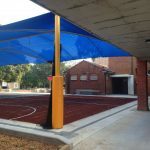 The parents and students of the school can’t imagine not having this outdoor space now and it is used as a meeting and assembly area regularly.